We’d love your help. Let us know what’s wrong with this preview of Her Final Confession by Lisa Regan. To ask other readers questions about Her Final Confession, please sign up. I think I must have skipped a book somehow. When did Josie get all those relatives? I liked her better when she didn't have them. Another strong addition to the Detective Josie Quinn series! Her Final Confession is a police procedural about a cop accused of murder. While the accused officer confesses to the crime, Detective Josie Quinn believes in her colleague's innocence. Josie will stop at nothing to prove her colleague's innocence, even if it means putting her relationships and her safety in danger. Her Final Confession focuses on the Gretchen Palmer, an enigmatic cop on Josie’s team. When the body of a young man is foun Another strong addition to the Detective Josie Quinn series! Her Final Confession focuses on the Gretchen Palmer, an enigmatic cop on Josie’s team. When the body of a young man is found at Gretchen’s house, Josie’s boss is ready to arrest the cop for the crime. But Josie knows that Gretchen could never commit such a crime and vows to fight to find out the truth before it’s too late for Gretchen. Her belief in her colleague’s innocence causes tension not only with Josie’s new boss but also with her new love interest, fellow officer Noah Fraley. Making things even more dramatic is a serial killer is on the loose. While it is the fourth book in the series, it can be read as a standalone. This book has it all: tons of action, suspense, a twisted serial, and some romance. But what makes this series work is the likable characters-I have come to care about Josie, Noah, and Gretchen. However, I still have an issue with the believability factor. This book was less outlandish than previous books in the series, which I appreciated but certain aspects didn’t hold true. Despite this one issue, this series gets better with each installment! I hope there is more to come! I received an ARC of this book from NetGalley and Bookoutre in exchange for an honest review. Another solid, well thought out and perfectly paced book by Regan!! When Gretchen Palmer turns herself in for the murder of a young man found shot and with a photo pinned to his back, Josie does not believe it. True, Gretchen keeps to herself and doesn't share much about her life, but she has been a trusted member of the Denton Police Department and Josie knows there is more to this confession and crime than there appears to be. As Josie investigates Gretchen's past, more bodies are found. What is the connection? Is there a connection? Why would Gretchen confess? This is a great addition to the Josie Quinn series. As Regan gives us more of a background on Gretchen, the reader is also given a glimpse into Josie's life and into her relationships with those in her life including her sister, Trinity, and Noah to name a few. This was a fast read for me. I didn't want to put this down! I wanted to know more about Gretchen, her past, the current crime and to see how the case would be resolved. This has quickly become one of my favorite series and this book did not disappoint. I found it to be suspenseful, riveting and a real page turner. If you have not read this series, I highly recommend it. I believe each book can be read as a stand alone but why miss out on an outstanding series? Plus, there is character development from one book to the next so please start at the beginning! Thank you to Bookouture and NetGalley who provided me with a copy of this book in exchange for an honest review. All the thoughts and opinions are my own. This is the fourth book in the Josie Quinn Series, all four of the books were published this year, 2018... this is an exceptional police procedural series, filled with wonderful characters and compelling plots... they can all be read as standalones but why would you want to? They are all brilliant and each is better than the last... I think this is a series best devoured from The beginning! I just took a look at my review for the first book and I mention that I felt th BEST SERIES of the year!!! This is the fourth book in the Josie Quinn Series, all four of the books were published this year, 2018... this is an exceptional police procedural series, filled with wonderful characters and compelling plots... they can all be read as standalones but why would you want to? They are all brilliant and each is better than the last... I think this is a series best devoured from The beginning! I just took a look at my review for the first book and I mention that I felt there was lots of room for Josie to grow as a character, and boy has she! Lisa Regan, I am expecting another four books in this marvelous series in 2019! I don’t ask for much, right? I knew we were going to get Gretchen‘s backstory in this book.... I knew it would be dark and disturbing but WOWZA! The body of a young man is discovered in Gretchen‘s driveway with a picture of a young boy pinned to him... Josie was adamant that Gretchen had nothing to do with the death of this young man, even after Gretchen confesses.... but who is this young man and what was he doing at Gretchens house? Is a recently murdered couple connected to this in any way? Once again I put on my detective hat and tried to figure out this case along with Josie and Noah, I had plenty of theories, none of them right! The thing I love most about this series is the amazing and well developed characters... along with the relationships they have with one another... Josie has some scars, but she is still extremely relatable... I think knowing her backstory makes it’s so easy to understand and sympathize with her.... Noah, wow he has come along way since that first book and I am so hoping that Josie and he end up in a strong stable loving relationship! Together! Gretchen has always been a bit of a mystery and I just knew she had some deep secrets, but I did not expect them to be this deep and dark.... there were times I was thinking how could one person possibly have gone through all of this? Fortunately I was wrong with some of my assumptions and grateful to find that out! SO what does a motorcycle gang, a serial killer, and a grad student have in common? Well you’re going to need to read this fabulous book to find that out, but as I said start with book one! EXCERPT: A shudder ran the length of her body. Again, she closed her eyes and took several deep breaths. Then she opened them and continued. "He said, 'Hello sweetheart. I've missed you.' You don't know how many times I 've heard that voice in my head, in my nightmares. It never went away. As long as he was out there, I was afraid he'd come back. He always a said he would. . ."
ABOUT THIS BOOK: Watching her friend dragged away in handcuffs, Josie couldn't believe for one second that Gretchen had EXCERPT: A shudder ran the length of her body. Again, she closed her eyes and took several deep breaths. Then she opened them and continued. "He said, 'Hello sweetheart. I've missed you.' You don't know how many times I 've heard that voice in my head, in my nightmares. It never went away. As long as he was out there, I was afraid he'd come back. He always a said he would. . ."
This is a series that was really good to begin with, and one that just keeps getting better. Her Final Confession is everything I look for in a thriller. I read it in two sittings - only because I had to go to work in the middle - or I would have read it in one. I love the way the relationships have developed between Josie, Gretchen and Noah. None of the characters are stereotyped, and some of the excesses of the earlier books have been whittled away to produce smoother, more believable storylines. Although there is a little romance, it complements rather than overpowering the main thread. Kudos to Lisa Regan for striking the perfect balance. Don't be put off by this being book 4 of a series, it is easily read as a stand-alone. But if you are looking for a great series as a gift for someone, this comes very highly recommended. THE AUTHOR: Lisa Regan is a suspense novelist. She has a Bachelor’s Degree in English and Master of Education Degree from Bloomsburg University. She lives in Philadelphia with her husband and daughter. 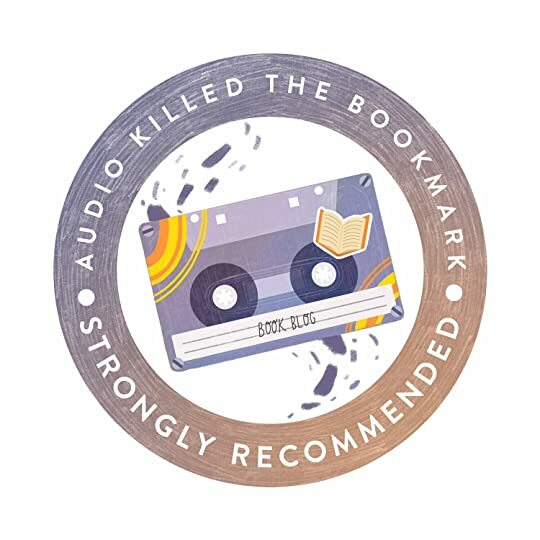 DISCLOSURE: Thank you to Bookouture via Netgalley for providing a digital ARC of Her Final Confession by Lisa Regan for review. All opinions expressed in this review are entirely my own personal opinions. With book four in the series, Josie seems to be settling down in her personal life. She’s re-discovered her family and has her drinking under control. But now there’s a shakeup with her team when a young man is killed in Gretchen’s driveway and Gretchen disappears. Then several says later she reappears and confesses. “Gretchen was a locked door and no one had the key.” Everyone likes Gretchen, but no one really knows her. Could she have done this? Josie refuses to believe it. As with the prior books, this is a straightforward police procedural. Although here we are given glimpses to a series of crimes in Seattle taking place years before. As the book progresses, the stories weave together but that doesn’t mean the reader has a better feel for what’s going on. The story does a good job of keeping you guessing. It can easily be read as a stand alone. Once again, the problem is the unbelievability of the ending. Regan has a tendency to go over the top. One of the things I enjoy most about this series is the focus on Josie’s relationships and the dynamics between them. In this story Josie is determined to solve the murder of a student and save her friend from a murder charge. Secrets come to light adding some suspense and tension to the story. Just when it seemed like things were coming together in the case another twist comes and Josie races against time to find the killer. A Murder, a confession, a determined detective searching for the truth. 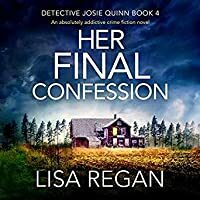 I received a free e-copy of Her Final Confession (Detective Josie Quinn #4) by Lisa Regan from NetGalley for my honest review. Lisa Regan has become one of my all time favorite authors. She is an amazing author with a gift of writing. Once you read one of her books you will be hooked. Her Final Confession, is an amazing non-stop thrill of a read. A book with amazing characters, a complex story line and, and a heart racing mystery that will not disappoint. I hope this series never ends. Seriously people, you need to get on board the Josie Quinn train if you haven't already.!!! This series is fantastic and addictive. Josie Quinn is such a strong, likeable and fun character. This is book 4 and they show no signs of slowing down. Her Final Confession had me wanting one more chapter even when the chapters ran out!! Josie arrives at the scene of the crime to find a murdered young student with a photo pinned to his chest. The address of this murder is that of one of their own, Gretch Seriously people, you need to get on board the Josie Quinn train if you haven't already.!!! This series is fantastic and addictive. Josie Quinn is such a strong, likeable and fun character. This is book 4 and they show no signs of slowing down. Her Final Confession had me wanting one more chapter even when the chapters ran out!! Josie arrives at the scene of the crime to find a murdered young student with a photo pinned to his chest. The address of this murder is that of one of their own, Gretchen, who is also Josies friend. Gretchen is missing and the prime suspect. Josie and Noah are not convinced, even when she the murder. Getting very little sleep and travelling around the country Josie won't stop until she incovers the shocking truth. This ending had me stunned... it was brilliant!! Bring on book 5!! Detective Josie Quinn knew the address they’d been directed to – it belonged to her friend and colleague, Detective Gretchen Palmer. With horror spreading through her, she and Noah arrived at the scene. But it was a young man whose body lay in the drive way, with no sign or sight of Gretchen. And when she had been missing for over twenty-four hours, the chief of police was determined to put out a warrant for her arrest. But Josie knew Gretchen wouldn’t have killed the young man. She knew somethin Detective Josie Quinn knew the address they’d been directed to – it belonged to her friend and colleague, Detective Gretchen Palmer. With horror spreading through her, she and Noah arrived at the scene. But it was a young man whose body lay in the drive way, with no sign or sight of Gretchen. And when she had been missing for over twenty-four hours, the chief of police was determined to put out a warrant for her arrest. But Josie knew Gretchen wouldn’t have killed the young man. She knew something was wrong and with tenacity and determination, she set to finding out everything she could – often against her superiors’ wishes. It was when Gretchen arrived at the police station days later, dirty, injured and disheveled, and told them to arrest her that Josie was struggling. The only one by now to believe in Gretchen’s innocence, Josie knew she had to keep going. Could she prove what she was certain was correct? Or was she completely wrong about her good friend? Her Final Confession is the 4th in the Detective Josie Quinn series, and another intense, thrilling, edge-of-your-seat ride! I was sure I knew who the killer was – I was wrong! The twists and turns were brilliantly done; the book was – in my opinion – unputdownable! Highly recommended. When Josie gets a call to investigate a homicide, she has no idea that the address she is given belongs to Gretchen Palmer, a much valued member of Josie's team. A young man is lying in the driveway, shot in the back, with a picture of a young boy pinned to his chest .... but where is Gretchen? Working all hours, Josie and Luke are very much surprised when Gretchen shows up at the police station demanding that they arrest her. She wants to confess to killing the young man in her driveway. Josie refuses to believe that Gretchen murdered anyone ... but why is she confessing a crime she didn't commit? It's going to take a hard look at Gretchen's past to find the connection between Gretchen, the unidentified boy in the picture, the young man killed by a bullet and then there are more bodies found. Each book in this series is better than the last. This one is well written and reads easily as a stand alone. I highly recommend reading this entire series, starting at the beginning. The story premise is riveting, action packed, and full of twists and turns leading to a surprising ending. Many thanks to the author / Bookouture / Netgalley for the advanced copy of this crime thriller. Opinions expressed here are unbiased and entirely my own. REGAN brings another intense crime drama staring Josie Quinn. Been following this series and I have not been disappointed. Love the intense crime of murder being investigated by Quinn. Great story and characters that mesh quite well together. CAN'T WAIT FOR #5. "A copy of this book was provided by Bookouture via Netgalley with no requirement for a review. Comments here are my honest opinion." Her Final Confession by Lisa Regan is the 4th in the Detective Josie Quinn Series. First, let me thank NetGalley, the publisher Bookouture, and of course the author, for providing me with a copy of this book in exchange for an honest review. All opinions are my own. Josie Quinn was made a rather reluctant interim Chief of Police in Denton, Pennsylvania after solving a large case which resulted in the kidnapping, torture and dea Her Final Confession by Lisa Regan is the 4th in the Detective Josie Quinn Series. Josie Quinn was made a rather reluctant interim Chief of Police in Denton, Pennsylvania after solving a large case which resulted in the kidnapping, torture and deaths of many young girls in the area. A number of the perpetrators were on the police force, including her ex, Ray, who died during the take-down. Josie took his death hard. She re-built the force, and has been re-building her life. She has recently discovered she was kidnapped as a child, has a twin sister, and a whole new family. Josie is finally back where she belongs. She’s a detective again, after giving up her title of Chief of Police. Mind you, her co-workers still call her boss, and the new Chief is not her biggest fan, but she just wants to do her job. She has been seeing Detective Noah Fraley, and that is starting to show promise. Her new family is taking up a lot of her time. When a young man turns up dead outside of Detective Gretchen Palmer’s house, and Gretchen is missing, Josie is hot on the trail. Even though everything points to Gretchen killing the man and then running, Josie doesn’t believe it. She had hired Gretchen, and she considers her a friend. She doesn’t believe Gretchen would commit this murder. As Josie investigates further, she discovers there is a lot about Gretchen’s past that she didn’t know. Nothing could surprise her more when Gretchen turns herself in and confesses to the crime. But Josie is still not sure. There had to be someone else involved, and Gretchen is definitely hiding something. From biker gangs, to a serial murderer, to her friend’s stunning reveal, Josie has a lot to figure out in a limited amount of time. This is a really good series, where the characters get deeper with each book. For those that know me, you realize I am not a romance reader, but the Josie/Noah team seems to work seamlessly, and their romance is not overpowering. Regan’s dialog and descriptions seem real, and the overall writing is clear. The plot is interesting and the twists good. The pace is fast – it was a really fast read. Note that you could read this as a stand-alone novel, but reading the whole series in order brings you so much more information, that I would definitely read them all. Another great book in the Detective Josie Quinn series. I just finished "Her Mother's Grave" and I loved it so much I wanted to dive right into the next one. This book can be read as a stand-alone but I highly recommend reading the previous books first (especially #3). This book did not disappoint. It was a little slow in the beginning (but it could have been because I was still on a high from book #3) but it picked up in the middle and the ending is one that I would never have guessed. Great wr Another great book in the Detective Josie Quinn series. I just finished "Her Mother's Grave" and I loved it so much I wanted to dive right into the next one. This book can be read as a stand-alone but I highly recommend reading the previous books first (especially #3). This book did not disappoint. It was a little slow in the beginning (but it could have been because I was still on a high from book #3) but it picked up in the middle and the ending is one that I would never have guessed. Great writing, amazing story with likable characters, and full of suspense and drama right up to the end. What more can you ask for in a thriller? I love this series and definitely recommend it. I can't wait to read the next one. Thank you NetGalley for the ARC of Her Final Confession by Lisa Regan that I read and reviewed. As for this f Thank you NetGalley for the ARC of Her Final Confession by Lisa Regan that I read and reviewed. her friend and member of her team, Gretchen, did not kill a young man in cold blood in her driveway even though Gretchen is pleading guilty and going down for murder without a fight. With the help of her boyfriend partner, Noah, Josie will have to dig into Gretchen past and find out the truth to what happened that day in the driveway and what a serial killer is doing in her town. This is another great story by Lisa Regan and she just makes Josie Quinn better. I loved this book. Noah and Josie work so well together and it was great watching their relationship grow. I can't wait to see where the characters go next. It was all the headlines focused on but for Josie she couldn't believe her friend was capable of such violence. Why confess to a murder you didn't commit? Apparently evidence and the modus operandi is in play as Detective Josie follows any and all leads to solve this mystery. What is the connection to the photograph pinned to the collar, the young student in the driveway of the private Denton home, and the Devil Blade's members? Could this be more than one party involved Gretchen confessed to murder! Could this be more than one party involved? Her Final Confession is a must read thriller! Lisa Regan has become a favourite and I love this series. Josie is a dedicated police detective. In this book she sets out to prove that her friend, a fellow police detective did not murder a young man in cold blood. I read past my bedtime to finish this book because I could not put it down. This series keeps getting better and better. I can't wait for Josie's next case. Thanks to NetGalley, Bookoutre and the Author for allowing me to read and review this book. I have started this series late. I joined in when I read book three and instantly Detective Josie Quinn stole my heart with what she went through. What the hell was going on this book?! We have three separate storylines going on at once and I could not figure out how they were all linked until it was too late! You have an initial enticement with Linc Shore and Benji Stone, part of the local bikers in the prologue. We then have two storylines intertwining, a murder spree that started in 1992 of couples in their homes and the current storyline of Detective Gretchen Palmer going missing and a boy has been shot dead on her lawn. To me, Josie is fearless, not that she realises it. She has taken on her missing family with open arms and they have helped her heal, feel loved and wanted but most importantly she has a family she has always been missing. She is tenacious and will not stop until she has solved the crime, despite the dangers that lie at her feet. She is strong and takes no rubbish from anyone, especially with her new boss in town. Him I did not like! Apart from the new Chief of Police douche bag (my professional opinion), the team are all so likeable. Josie, Noah and Gretchen are a unit and one not to be messed with. I loved the intertwining storylines, it kept you on edge. You have a need to find out what is going on. How is everything linked? What makes the past so important to the present day? Oh I had my theories!! It was awesome to get to know more about the mysterious Gretchen, my heart broke for her but I loved getting to know her and her life because she is one secretive person!! It does not help her that she is in the spotlight, I mean did she really kill the boy on her lawn? Gretchen’s bond with Josie makes Josie even more determined to get to the bottom of this and sharpish. She needs to help her friend. I am glad I have read the third book in this series as you can see how it shapes Josie in this book, but I do need to go back and read the first books because there are a few things that are missing for me. Plus I want to see the complete journey of Josie Quinn. Her Final Confession, the fourth novel in the Detective Josie Quinn series based at the Denton PA Police Department, is an adrenaline-fuelled and explosive story that is refreshingly straightforward and easy to follow. Part of the reason why its so successful in my opinion is that it focuses primarily on Josie's point of view, there are many twists and turns throughout and it travels at a rapid pace. The plot is exceptionally done, however, it requires a rather hefty suspension of disbelief as t Her Final Confession, the fourth novel in the Detective Josie Quinn series based at the Denton PA Police Department, is an adrenaline-fuelled and explosive story that is refreshingly straightforward and easy to follow. Part of the reason why its so successful in my opinion is that it focuses primarily on Josie's point of view, there are many twists and turns throughout and it travels at a rapid pace. The plot is exceptionally done, however, it requires a rather hefty suspension of disbelief as the developments are not exactly probable or realistic but I can overlook that in a book which I read more for fun and relaxation than anything else. Josie Quinn is an interesting protagonist although she is stereotypical of the genre with her feisty, no-nonsense attitude and has a tendency to kick up a fuss over things that others seem to just accept, which I loved. She is certainly nobody's fool! Whilst I did enjoy her romantic relationship with Noah I am glad that it wasn't a substantial part of the plot and was relegated to a mere side story. All in all, this is a quick, intense read with surprises aplenty and is an entertaining way to spend a few hours. I’ve said before how much I love this series and that remains true after finishing Her Final Confession. Once again Lisa Regan has written another gripping and thrilling mystery. I love the character of Josie Quinn and especially enjoyed reading more about the developments in her personal life with her sister, her newfound family and also her relationship with Noah who I also really enjoy reading about (and picturing!) Josie is a likeable and believable character and her home life to me is just I’ve said before how much I love this series and that remains true after finishing Her Final Confession. Once again Lisa Regan has written another gripping and thrilling mystery. I love the character of Josie Quinn and especially enjoyed reading more about the developments in her personal life with her sister, her newfound family and also her relationship with Noah who I also really enjoy reading about (and picturing!) Josie is a likeable and believable character and her home life to me is just as enjoyable to read about as the main plot itself. Absorbing and complicated, this crime thriller featuring Detective Josie Quinn and Lieutenant Noah Fraley will have your head spinning. Great action and intricate details make this police procedural one that you won't want to miss. The series just keeps getting better with every new book! Set in the fictional town of Denton, Pennsylvania, Quinn is no longer acting Chief of Police but has been replaced by Bob Chitwood. He interrupts a party date evening between Josie and Noah to attend a crime sce Absorbing and complicated, this crime thriller featuring Detective Josie Quinn and Lieutenant Noah Fraley will have your head spinning. Great action and intricate details make this police procedural one that you won't want to miss. The series just keeps getting better with every new book! Set in the fictional town of Denton, Pennsylvania, Quinn is no longer acting Chief of Police but has been replaced by Bob Chitwood. He interrupts a party date evening between Josie and Noah to attend a crime scene at the home of one of their fellow detectives, Gretchen Palmer. A young man lies dead on the driveway and Gretchen is missing. When she reappears, Gretchen turns herself in and confesses to the murder of James Omar. Josie has an immediate gut feeling that there is much more to this and that Gretchen can't possibly have killed Omar. So begins an intense investigation that will link them back to a series of unsolved murders in Seattle, Washington that were known as the victims of the Soul Mate Strangler. In addition, the case has them looking into activities of a motorcycle gang. How is Gretchen connected to both the strangler and the gang? She's always been an enigma to her fellow police, but now her secrets are about to be revealed. NO SPOILERS. I really like all the characters in this series and am glad to see that Josie is finally settling in with her new-found family, getting to know her twin sister, and that a romance with Noah is on track. She's always been focused and dedicated to her job, but now she's a bit more well-rounded with a decent personal life to help with stability and sobriety. I'm totally addicted to this series, which should be read, in order, from the beginning, and I can't wait to see what will happen in the next book. Regan's done it again, delivered another nail-biting thriller that'll keep you reading when you really should be sleeping. Josie Quinn will go down as one of the most memorable detectives in literature. This is the fourth in the Josie Quinn series and I loved it. In this book Josie needs to get to the bottom of why her friend and colleague has asked to be arrested for murder. Gretchen who has been arrested is a very private person just like Josie, they have an unspeakable bond. As Josie delves deeper into Gretchen' s past what she finds out is unbelievable, distressing and heart breaking. Josie has 48hours to clear her friends name. Meanwhile a serial killer is in town and has Josie in his sight This is the fourth in the Josie Quinn series and I loved it. In this book Josie needs to get to the bottom of why her friend and colleague has asked to be arrested for murder. Gretchen who has been arrested is a very private person just like Josie, they have an unspeakable bond. As Josie delves deeper into Gretchen' s past what she finds out is unbelievable, distressing and heart breaking. Josie has 48hours to clear her friends name. Meanwhile a serial killer is in town and has Josie in his sights. This book is full of twists and turns. It is an intense crime thriller which I found very hard to put down. This author writes great stories and this series just keeps getting better and better. Can't wait for no 5. Makes me want to go back to the beginning and read this series from the start. Highly recommended. Her Final Confession (A Josie Quinn Mystery) by Lisa Regan was quite the addictive book (as described). Josie Quinn is a strong lead female character, and I enjoyed the interactions between her and the other characters. Their dialogue and interactions were believable. The book even has the typical higher-up that clashes with Josie and Chitwood fit the bill perfectly for being a difficult adversary. There were parts in the story where I felt I missed some backstory regarding the characters in hav Her Final Confession (A Josie Quinn Mystery) by Lisa Regan was quite the addictive book (as described). Josie Quinn is a strong lead female character, and I enjoyed the interactions between her and the other characters. Their dialogue and interactions were believable. The book even has the typical higher-up that clashes with Josie and Chitwood fit the bill perfectly for being a difficult adversary. There were parts in the story where I felt I missed some backstory regarding the characters in having not read all of the previous books, but the author did a good job in giving just enough information to understand the plot. What happens when you are a police officer investigating a murder, and the murderer is another cop? Holy Hannah, this book is what happens. Detective Josie Quinn is back and in the middle of this convoluted, twisting nightmare. Josie believes that her colleague is innocent, and she will stop at nothing to prove it - including putting herself directly in harms way. I was sucked right into this story, because I LOVE a good police procedural and the idea that the main suspect is a police officer is ev What happens when you are a police officer investigating a murder, and the murderer is another cop? I was sucked right into this story, because I LOVE a good police procedural and the idea that the main suspect is a police officer is even better. Lisa Regan knows how to write incredibly tense, fast paced, twisting, suspenseful stories that are all the better because you actually care about the characters the story is happening to. I picked this one up with the intention of reading a couple of chapters, and devoured half the book before I even knew what had happened. While this is the fourth book in a series, it (along with all the others) can be read as standalone. This was my personal first foray into Josie Quinn’s world, and I am so hooked on the characters, I cannot WAIT to go back and read the first three books so I can understand the relationships even better. That being said, Lisa does an amazing job of sharing JUST ENOUGH details of the characters backstories that you can really get invested in them, without feeling like you are getting a 4 book recap of the characters past. I absolutely LOVE how the investigation into Gretchen was the key for getting a glimpse into Josie’s own relationships, including her new relationship with Noah. A key ingredient in stories for me as a reader, is characters that I can connect with, or that feel very real, and Josie is exactly that kind of character. I could easily imagine her life and she felt like someone I could know - one of those girlfriends you catch up with over a drink and hear about their crazy job and their new boyfriend. Not to mention, she is a female lead that takes no crap, and THAT is my favorite kind of lead female! I also loved Gretchen in this story - she was so intriguing to me, and I could probably read an entire series on her alone. The work done to tie together all the various pieces of the story is exceptional, every angle seems to be standalone and I had no idea how it was going to come together until it smacked me right between the eyes. I love a plot where the outcomes aren’t obvious until your smack dab in the middle of them. Which is all I will say on that, because quite frankly, readers should get to enjoy this ride for themselves, without fear of spoilers to dampen the journey. OMG! Boy, was my heart in my throat reading the first chapter of this book! When I thought who might the victim in this story, I must admit that I was devastated. Why? Because I read Her Mother’s Grave back in July. I don’t quite get it, I have read over 150 books since then, but I remember the characters and developed a fondness for some of them. Thanks Lisa Regan for yanking me into this story by my neck! When we start this bo Please see all of my reviews on my blog at www.robinlovesreading.com. When we start this book, detectives Josie Quinn and Noah Farley are finally getting to know one another a little bit better. But they get a phone call and are dispatched to a crime scene immediately. As mentioned, it was rather terrifying to me as a reader to see how Josie and Noah would deal with approaching fellow detective Gretchen‘s home, which is the scene of a homicide. Who is the victim? What’s more is, where is Gretchen? She has gone completely off the grid. At first it is of very serious concern to Josie and her team as to whether not Gretchen was in danger. Unfortunately, as things turned out, Gretchen ends up with a warrant for her arrest. She becomes the main person of interest in the murder that took place on her property. All the while Josie relies on her incredible gut instincts to get to the bottom of the matter. This puts her at odds with Noah and her chief. This is an incredibly sad and chilling story. The memories that were relayed through the chapters of this book was so intense that at times I had to put the book down for a few moments to stall a lump in my throat and the chills that I had gotten. 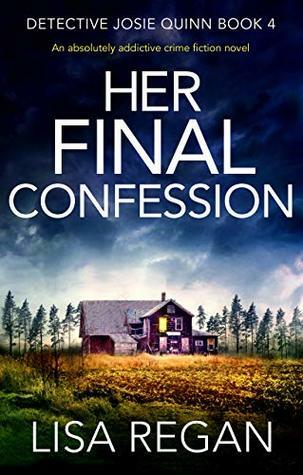 Her Final Confession is a shocking and incredible page turner. I have to admit that I cried for Gretchen. My heart was broken, but at all times I was very intrigued as to wondering what was happening while Gretchen was missing, but also caught up in the story as it was relayed. They were chapters devoted to past situations, so it was very interesting to see how it would connect to the cases at hand. There were several storylines here, but what I really enjoyed is how everything came together. I read the previous book in the series and really enjoyed it. I will say that this book blew that one away. I honestly think it is one of the best books that I read this year. I was thoroughly captivated and could not put this book down. Lisa Regan is in exceptional writer and has developed a compelling story with a conclusion that was absolutely riveting. This is the fourth book in the Josie Quinn series and I have to admit that I have not read the first three (not sure why, I must remedy that oversight). The fact that I had not read the previous ones did not diminish my enjoyment of this book at all, it can easily be read as a standalone, but I think that if you read this first, it probably contains some spoilers for the previous books, so you might want to read them in order if you plan on reading them all. This book gets off to a flying start, This is the fourth book in the Josie Quinn series and I have to admit that I have not read the first three (not sure why, I must remedy that oversight). The fact that I had not read the previous ones did not diminish my enjoyment of this book at all, it can easily be read as a standalone, but I think that if you read this first, it probably contains some spoilers for the previous books, so you might want to read them in order if you plan on reading them all. This book gets off to a flying start, flinging the reader straight in to the action from the beginning with a romantic encounter interrupted by the discovery of a dead body and it does not let up on the tension for a second until the end of the book. It really is a very tautly plotted, fast-paced thriller and very easy to read; the writing flows very smoothly and is perfectly pitched, not at all a chore to devour. Despite not having read the previous books, I felt like I got to grips with the main characters of Josie and Noah very quickly. The author does a great job of introducing just enough back story to allow the virgin reader to the series to catch up enough to be drawn in to the story without shovelling it in in a way that bogs down the start of the story. Josie is a very likeable protagonist and I am definitely interested in going back and exploring in more detail some of her past which was obviously revealed in the earlier books in great detail. The story in this book involves a young man shot in the driveway of a home belonging to one of the Denton PD team. Josie refuses to believe that her colleague has committed the crime, even when the officer in question hands herself in and confesses, and she is dogged in her determination to track down the truth. This takes her on a rollercoaster investigation involving genetics, outlaw bikers gangs and an unsolved crime from the past. It twists and turns like an agitated viper and I could not begin to imagine where it was going, so I was pleasantly surprised when i got to the end and it was all unravelled. A very clever plot which kept me on edge all the way through. The fourth book in the series but I have only read two of them and with this one the auhtor has hit bull's eye once again. This story kept me on edge the whole time. Normally it does not effect me in real life but now I felt ill at ease because it was so creepy. I even checked the locks a second time before I went to bed last night. It is a first class example of how an author can transmit the atmosphere of a book into the life of a reader. Needless to say that it shows how gifted she is. I won't The fourth book in the series but I have only read two of them and with this one the auhtor has hit bull's eye once again. I won't forget this story easily. I still remember the previous one vividly as well. That only happens with very bad or very good ones and this author's books belong in the latter category with the any doubt. The author creates wonderful and interesting characters and keeps your eyes glued to the pages due to her writing style and imagination. I am looking forward to the next part. 5 stars are hardly enough for this masterpiece. Thank you, Lisa Regan, Bookouture and Netgalley. Ohhh yessss this is from start to finish one hell of a brilliant thriller that just grabs you, pulls you in and doesn’t let go still it reaches a real stonker of an ending. Full of twists and exquisite writing from the genius author Lisa Regan this series featuring detective Josie Quinn has just got better and better with each book, learning more of the background of both Josie and her team which makes it a truly captivating read...I devoured it, just couldn’t put it down and now feel lost as I Ohhh yessss this is from start to finish one hell of a brilliant thriller that just grabs you, pulls you in and doesn’t let go still it reaches a real stonker of an ending. Full of twists and exquisite writing from the genius author Lisa Regan this series featuring detective Josie Quinn has just got better and better with each book, learning more of the background of both Josie and her team which makes it a truly captivating read...I devoured it, just couldn’t put it down and now feel lost as I have some time to wait till the next instalment so please write as quick as you can Lisa. So what we have here is everything a thriller should be exciting, compulsive and a damn good story so I urge you to read it and also the others in the series you really won’t be disappointed at all I loved it. I would like to thank Netgalley and Bookouture for an advance copy of Her Final Confession, the fourth novel to feature Detective Josie Quinn of the Denton PA Police Department. When the body of a young man is found shot to death in Detective Gretchen Palmer’s doorway a BOLO is put out for her and all but Josie believe her to be guilty. Josie insists that there is more to the shooting than meets the eye and is astonished when Gretchen hands herself in. This, if anything, spurs her on to investiga I would like to thank Netgalley and Bookouture for an advance copy of Her Final Confession, the fourth novel to feature Detective Josie Quinn of the Denton PA Police Department. When the body of a young man is found shot to death in Detective Gretchen Palmer’s doorway a BOLO is put out for her and all but Josie believe her to be guilty. Josie insists that there is more to the shooting than meets the eye and is astonished when Gretchen hands herself in. This, if anything, spurs her on to investigate the secretive Gretchen’s past and find the reason for her strange behaviour. I thoroughly enjoyed Her Last Confession which is a high octane read with plenty of twists and turns, told almost exclusively from Josie’s point of view. The single narrative is a welcome and refreshing change from the current fad for multiple points of view, allowing the reader to really concentrate on events as they happen and to speculate on what is to come. I love it. The plot is told at breakneck speed with what seems like developments on every page so there is no wastage. Ms Regan has outdone herself in her plotting which will require a massive suspension of disbelief to come anywhere near credible but it doesn’t actually matter because it is fiction designed to occupy and entertain the reader which it does admirably. Josie Quinn is a fairly standard protagonist, stubborn, smart and frequently the lone dissenting voice in a department happy to settle for the easy option. She has an exotic back story which is explored in previous novels so I won’t expand on it and now is slowly getting used to a new reality. It jives with the generally OTT nature of the plots that her background is similarly overloaded. Restraint is not an overly used word and I love it because it makes the read fun.